Dr. John B. Rehder, PhD, longtime Professor at the University of Tennessee, passed away on April 19, 2011. He joined the Department of Geography in 1967. Dr. Rehder earned a Masters and Ph.D. from LSU, one of the preeminent cultural and historical geography programs in the country. He earned a B.A. in 1963 from East Carolina University in Greenville, North Carolina. Dr. Rehder’s research focused on writing scholarly books that examined the historical and cultural geography of subjects in the South. Two earlier books, Delta Sugar: Louisiana’s Vanishing Plantation Landscape (1999) and Appalachian Folkways (2004) both published by the Johns Hopkins University Press, won prestigious book awards. 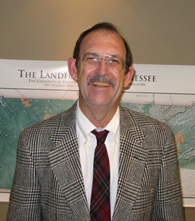 Dr. Rehder served on the Board of Directors of University of Tennessee Press. In 2012, the Press published his third book, Tennessee Log Buildings: A Folk Tradition. This most recent work is a product of over four decades of fieldwork and contains over one hundred images, including beautiful photography. Dr. Rehder enjoyed fishing, camping, boating, skiing, and hiking along with singing in the West Hills Baptist Church Choir. He was a devoted husband to wife Judy Rehder for over 48 years and a loving father and grandfather. In February, 2011 he proudly attended the award dinner where his daughter, Karen Rehder was recognized as the Knox County Middle School Teacher of the Year. “Opa” especially treasured time on the golf course with his son, Ken and grandson, Allen and also showering his granddaughter, Emma Caroline with stuffed animals.